Have a question we didn't answer below? Send us an email and we'll get back to you as soon as we can! It's an online place for moms with tattoos to share ideas, common interests, strike up conversations, and meet other moms with tattoos. We're compiling a list of your favorite tattoo shops WORLDWIDE so feel free to send us a link to the one(s) you frequent and we'll get them added to our list. We will also be releasing some awesome limited edition t-shirts, art prints, stickers, and a few other things that we are sure you won't want to miss! How do I become one of the Featured Tattooed Moms? We are ALWAYS looking for new Featured Tattooed Moms to interview and share on the blog and we would LOVE to have you as part of the "Official" Tattooed Moms Club! Use our contact form to send us an email to let us know you'd like to be featured. We'll get back to you ASAP with the details of what we need from you and then once we've received everything from you we'll get your post set up and scheduled! We'll then let you know when it will go live on the blog so that you can share it with all of your friends!! I have an idea for a blog post. Can I submit it to you? Yes! We're always looking for contributors! We want to promote discussion on all topics and give everyone the chance to have their voice heard. Of course, bullying, belittling, bashing and the like will not be accepted or tolerated. Venting is okay but, let's keep it classy. Send us an email to become a contributor! Of course! It's an online community for moms with tattoos. We all have at least two things in common - we are a mom and we have tattoos. It doesn't matter how many or few tattoos - or if they can be seen or not. If you have at least one tattoo and at least one baby you are a tattooed mom and we would love to have you as part of the group! 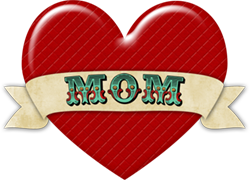 Sign up for our newsletter and get a FREE "Classy & Sassy Tattooed Mommy" wallpaper for your device! We won't spam your inbox or sell or share your email address, promise!